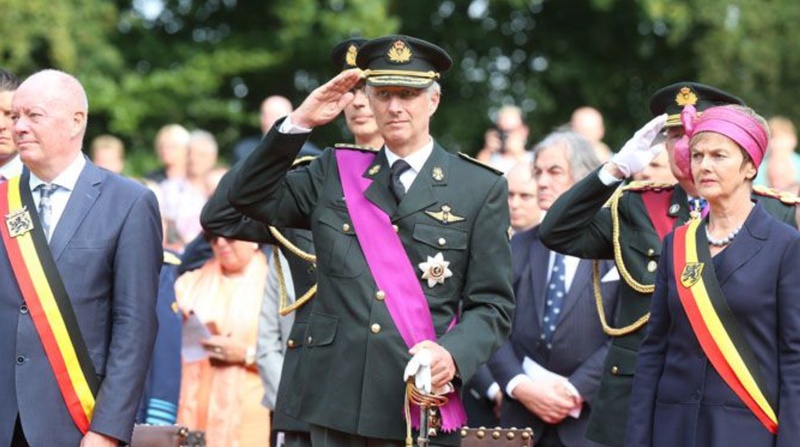 (VIDEOS) TMs King Philippe and Queen Mathilde of Belgium Visit the Netherlands: Day Two. 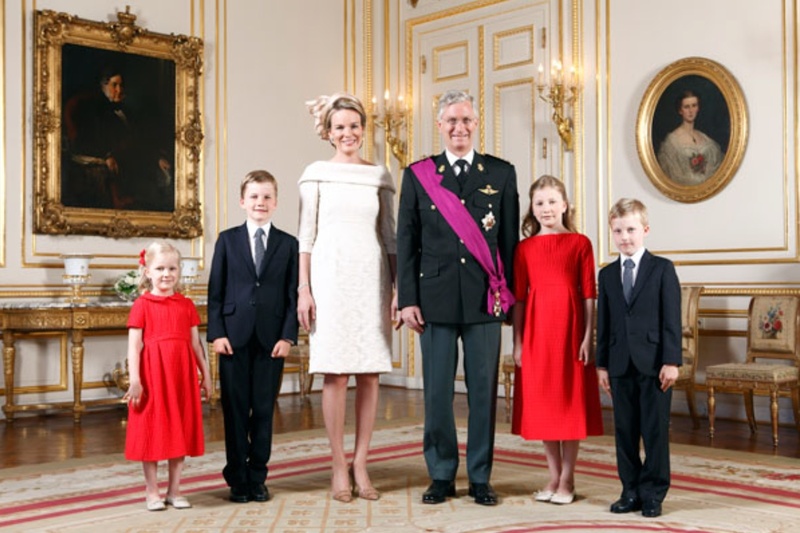 On Tuesday, November 29, 2016, Their Majesties King Philippe and Queen Mathilde of Belgium continued their three-day state visit to the Netherlands. This morning His Majesty King Philippe visited the European Space Agency/European Space Research and Technology Centre (ESA/ESTEC) in Noordwijk. During his visit His Majesty met with the Voorzitter van de Eerste Kamer der Staten-Generaal (President of the Dutch Senate), Ms. Anneke Broekers-Knol, the Tweede Kamer der Staten-Generaal (President of the House of Representatives), Ms. Khadija Arib, and other Dutch government officials. 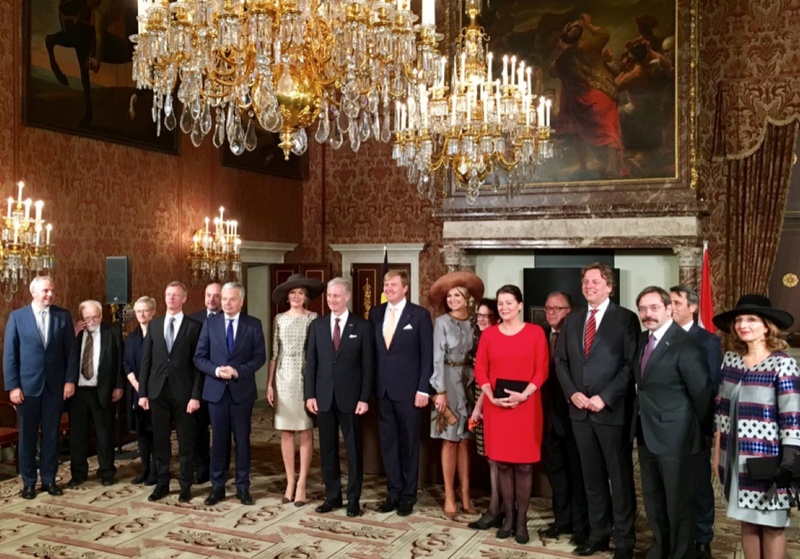 Thereafter, His Majesty accompanied by Her Majesty Queen Mathilde of Belgium and Their Majesties King Willem-Alexander and Queen Maxima of the Netherlands attended a luncheon hosted by the Prime Minster of the Netherlands, Mr. Mark Rutte, at the Ridderzaal in Den Haag. In the afternoon, Their Majesties Queen Mathilde and Queen Maxima visited the non-profit organization, Kamers met Kansen (Rooms with Opportunities). The organization prepares young people who “…prematurely left their school to independent living by helping them to get a job or a diploma…” according to RVD. 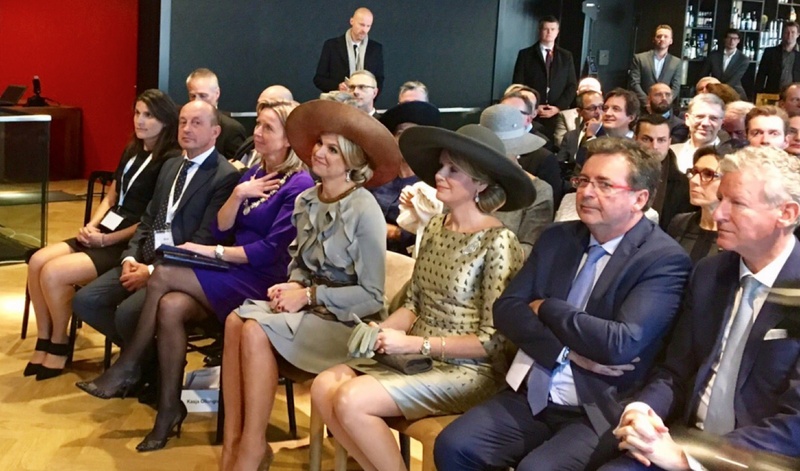 Their Majesties also visited Vitalis, a center which focuses on the personal guidance for children ages 5 to 18 years old who are in a vulnerable position, in Den Haag. 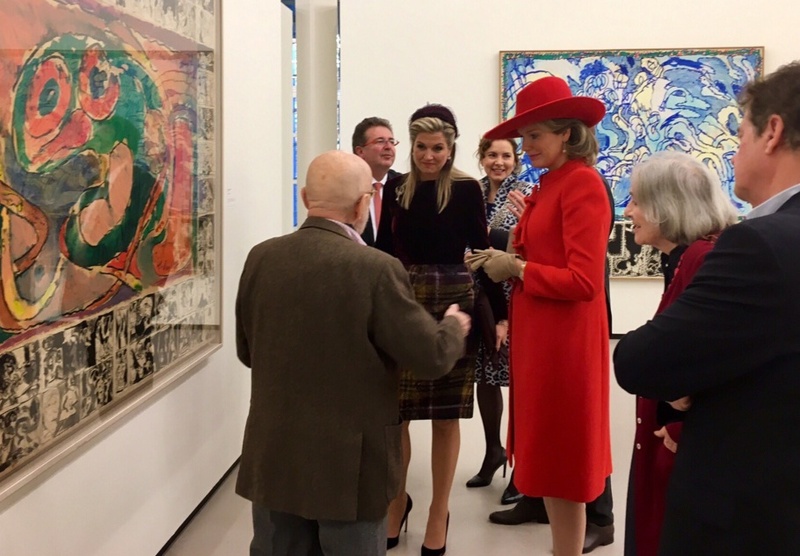 The two queens also visited the Cobra Museum Voor Moderne Kunst in Amstelveen where they viewed the exhibition, Pierre Alechinsky – post Cobra. 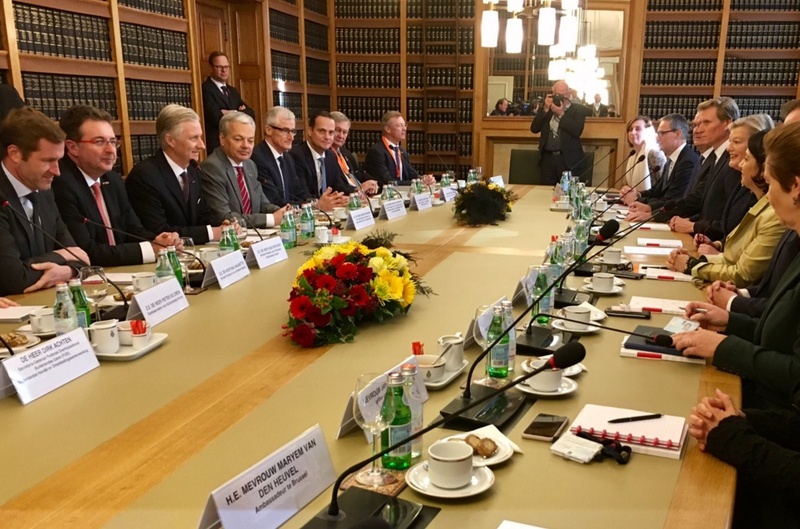 Meanwhile, Their Majesties King Philippe and King Willem-Alexander of the Netherlands presided over a roundtable discussion organized by the “…Confederation of Netherlands Industry and Employers (VNO-NCW) and the Federation of Enterprises in Belgium…” according to RVD. 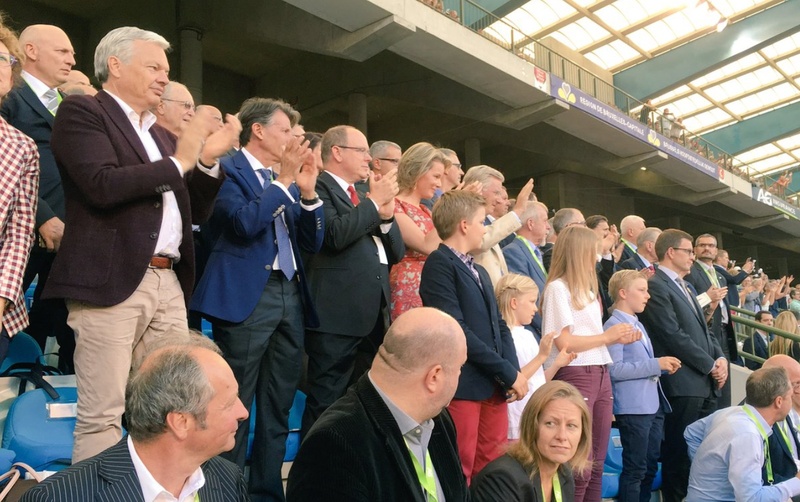 The day ended with His Majesty King Philippe visiting the Nederlands-Vlaamse Accreditatieorganisatie (Netherlands-Flanders Accreditation Organization) in Den Haag. Please click the links below to watch a video as well as to view photos from today’s events. 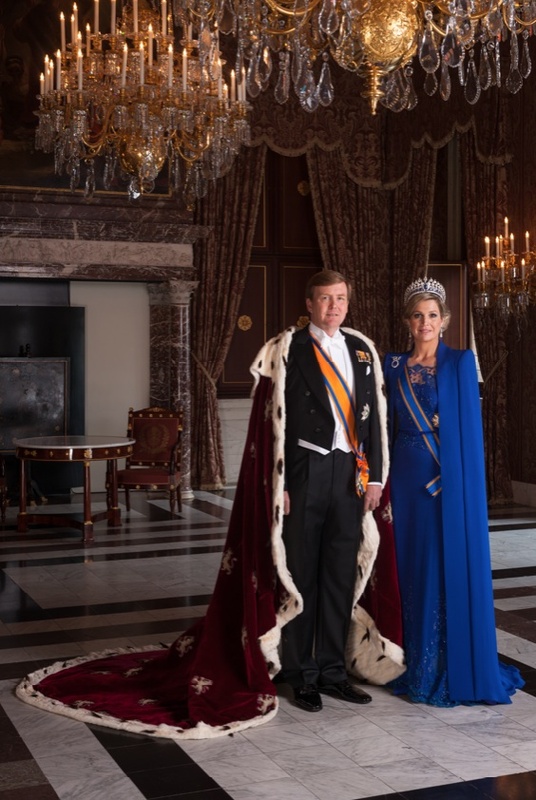 Their Majesties King Willem-Alexander and Queen Maxima of the Netherlands Host a Gala State Banquet. 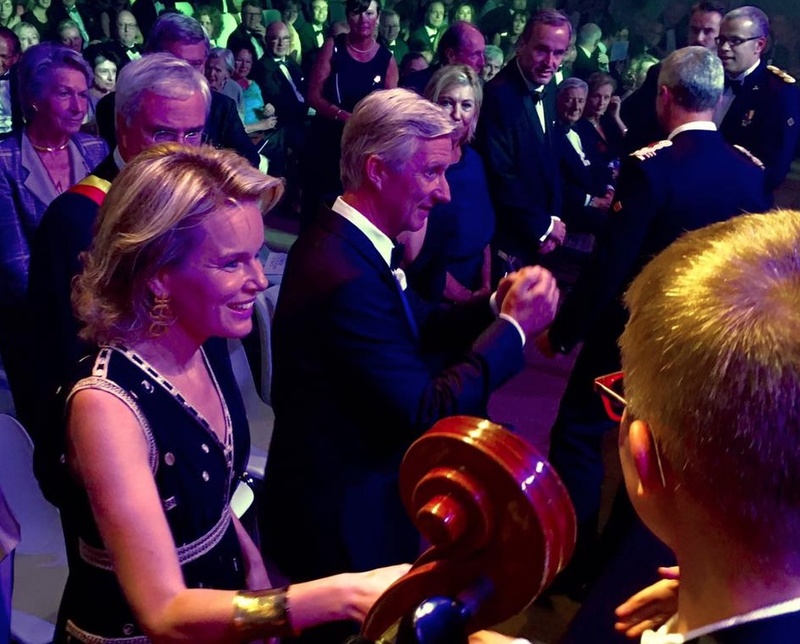 On the evening of Monday, November 28, 2016, Their Majesties King Willem-Alexander and Queen Maxima of the Netherlands hosted a gala state banquet at the Koninklijk Paleis in Amsterdam in honor of Their Majesties King Philippe and Queen Mathilde of Belgium’s state visit to the Netherlands. Guests attending tonight’s dinner included Her Royal Highness Princess Beatrix of the Netherlands, Her Royal Highness Princess Margriet of the Netherlands and her husband, Professor Pieter van Vollenhoven, Their Royal Highnesses Prince Constantijn and Princess Laurentien of the Netherlands, the Prime Minister of the Netherlands, Mr. Mark Rutte, and dozens of government officials from the Netherlands as well as Belgium.